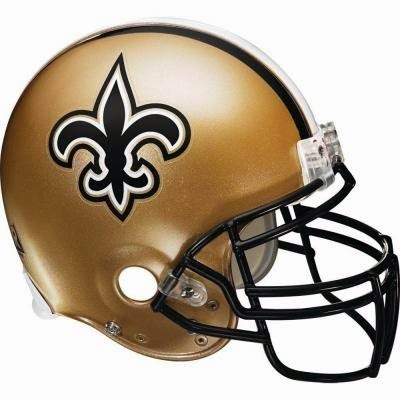 When it comes to fantasy football, the New Orleans Saints are known for Drew Brees and Jimmy Graham. Sure they have one of the most consistent receivers in Marques Colston and an explosive rookie in Brandin Cooks, but even we didn't place to much value on them when we ranked our WRs. Brees has produced just 3 double digit WRs this season, Cooks (15.5) in Week 1 on 7 receptions for 77 yards and TD and Colston (11.1) and Kenny Stills (16.3, Saints season high) in Week 7 who combined for 11 catches, 214 yards and long TD for Stills. Even when Colston caught his lone TD in Week 3, he totaled 25 yards on 2 receptions. Even Graham has just 2 double digit days, 23.8 in Week 2 and 12.6 in Week 4. Never did we expect the Saints backfield to be one of the best fantasy options with their aerial assault being shot down! The New Orleans Saints RBs average the 2nd most fantasy points per game (26.8) in the NFL, slightly lower than the Kansas City Chiefs (27.1), according to Yahoo default scoring nonPPR. The Chiefs were expected to be near the top of the RB points per game with Jamaal Charles and Knile Davis, but the Saints lost Darren Sproles this offseason in a trade with the Eagles and Mark Ingram has played in just 3 games! In Weeks 1 & 2, Ingram carried the load with 24 carries for 143 yards and 3 touchdowns, good for 34.5 fantasy points. Pierre Thomas led the backfield with 9 receptions for 74 yards, but failed to score. Khiry Robinson received 14 carries and gained 59 yards, and also failed to score. Ingram would suffer a hand injury that required surgery and forced him to miss the next 3 games. Robinson led the team in carries Week 3 with 18, a season high for the Saints, and picked up 69 yards but again, failed to score. Thomas however would take advantage of his 8 carries and scored, leading the team in fantasy points with 11.1. In Week 4, the Saints carried the ball just 12 times in a 38-17 loss to the Dallas Cowboys. Robinson led the team with 8 carries for 87 yards, and again failed to score. His 10.5 points were a team high. In the Saints 37-31 Week 5 win over the Tampa Bay Buccaneers, both Robinson and Thomas had big fantasy days. Robinson carried the ball 21 times for 89 yards and finally scored a TD (15.7 pts). Thomas scored a TD on one of his 4 carries and added a receiving TD to cap off an 8 catch 77 yard day with 23.2 fantasy points. Even Travaris Cadet caught a TD in this one! After a BYE Week 6, Ingram returned to the Saints backfield and led the team with 10 carries, but gained just 16 yards against the Detroit Lions defense. Thomas and Robinson totaled 9 carries and gained just 39 yards. Cadet, Thomas and Ingram caught 12 passes from Brees, but gained just 81 yards. This time, it was Austin Johnson who was able to capitalize, and took his one reception 13 yards for a touchdown. In 6 games, the Saints have had 4 different running backs lead the team in fantasy points. With Ingram back, and Pierre Thomas injured, it would be safe to assume he is the man moving forward, and the Saints have a nice schedule for the rest of the season. With their BYE week behind them, New Orleans gets the Carolina Panthers and Atlanta Falcons at home during the fantasy football playoffs! Better yet, if you play through Week 17 and you find yourself in the Championship, Ingram, Thomas and Robinson get to play their final game against the Tampa Bay Buccaneers! Only the Falcons, Raiders, Panthers, and Browns allow more fantasy points to RBs!